I often think to myself, “I am so, so lucky to work with the nicest people!” It’s almost like a pinch-me sort of revelation over and over again and the gratefulness I have because of it overflows. I remember when Emily reached out to me, I liked her immediately and when we had our Skype chat with Joe included I just knew we would have the best time together. When I work with couples to plan their engagement sessions, I send a really in depth questionnaire asking all sorts of questions. Some of the questions are about personal likes and preferences and some of them are just about exploring what kinds of locations or activities the couple would most enjoy for their session. 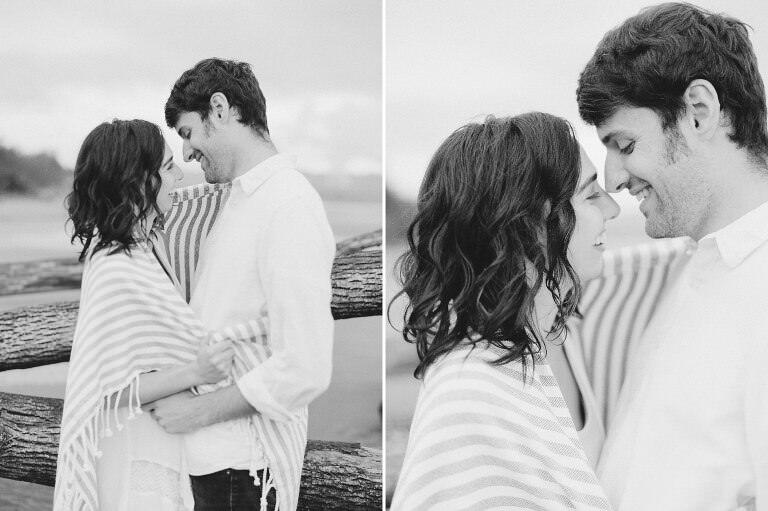 I remember it became really obvious when I was reading Emily and Joe’s questionnaire responses, a relaxed but romantic Oregon Coast engagement session was going to be perfect for them! 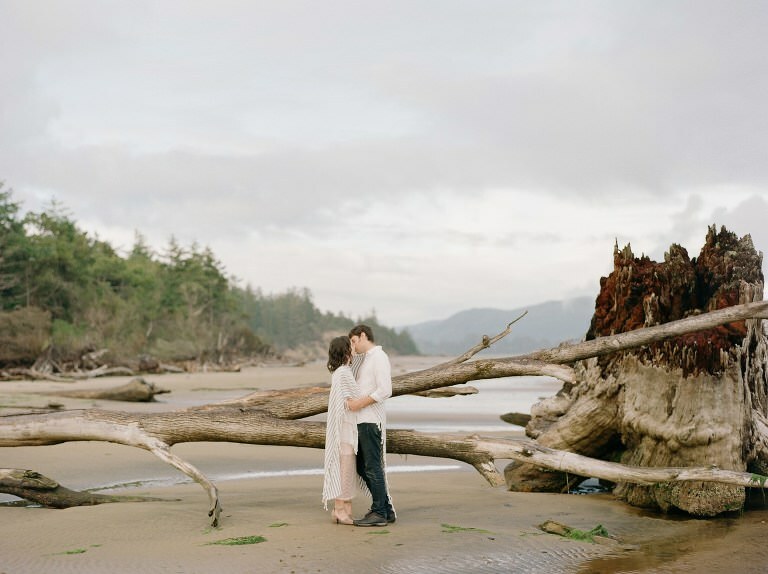 When we met at our selected destination in Manzanita, the weather started to look a bit fickle and it even started to rain a little bit in the beginning. Really the rain just added to the classic Pacific Northwest look and not long after the sun peaked though the most perfect pastel pink clouds and our session ended with the most glorious sunset ever (rainbow included)! I’m so grateful I had the chance to meet Emily and Joe and have the pleasure of creating these engagement pictures for them! The laughs were abundant, the scenery gorgeous, and our time together was so incredibly delightful in every way. When we were all finished and saying our goodbye’s, I drove away with the biggest smile on my face thinking about how fortunate I am to work with the loveliest couples, yet again.